A Dutch Kiwanian takes to the fields of Afghanistan to bring hope for the future of hundreds of families. In a land where poppy fields flourish and the atmosphere is as harsh and unforgiving as the Taliban who rule parts of it, conditions are miserable at best, and they have been for decades. War, natural disasters, poverty, hunger and a lack of basic necessities rule the day. According to the United Nations, more than 90 percent of the world’s poppy, which makes opium that can then be turned into heroin, is found there. The soil is ripe for poppy production. Farmers can bring in a lot of cash quickly with a harvest—and Taliban forces supporting and sometimes acting as drug traffickers collect tens, if not hundreds of millions in US dollars in taxes on the crop, according to several sources. This is Afghanistan, and this is where Kiwanian Lou Cuypers focuses his attention to helping farmers take back their land. Cuypers, a member of the Kiwanis Club of Midden Limburg Roermond in the Netherlands, travels to Afghanistan for about nine months a year to work with the company he founded, Blue Green World, to support and train farmers and communities on the use of new farming technologies and techniques. He has his work cut out for him. Cuypers and his team are teaching farmers in Afghanistan about alternatives that will move them away from poppy cultivation and toward other crops that will be highly profitable and safer. Farmers there have a good, basic knowledge of agriculture, he explains, but they often have little land. Only about 20 percent of the land in Afghanistan is suitable for farming because of high temperatures and little rainfall. And when farmers find it difficult to grow a crop, they tend to fall back to the predictable, convenient, reliable standby—poppy—even though opium poppy cultivation is illegal under Afghan law. Not every plant can compete with the profits farmers make on poppy, Cuypers explains. So finding alternatives isn’t easy. But not impossible. Cuypers is bringing change to the farmers of the Uruzgan province of Afghanistan by way of saffron, seeds, fruit trees, vegetables and even chickens. Now, many of them have what they never had before: a choice. John Salam is a farmer in Tarin Kowt in the Uruzgan province of Afghanistan. He has lived here his entire life. He’s 51 years old and has a family—including nine children. When staff members from Blue Green World were looking for a small field to use for practical training, Salam offered his bit of land. His decision forged a relationship with Cuypers that eventually led to a working relationship and then to a new job. Salam now manages distribution and equipment fulfillment for an aid organization. His oldest sons now run the family farm, producing saffron and turning a good profit. According to Cuypers, saffron actually generates more profit per acre than any other crop—including poppy. But Cuypers already has helped Salam and so many other farming families take those first steps to the future by helping them step away from the country’s top crop. Salam and his family, along with many other farmers, praise the help they’ve gotten from Cuypers and his company. But many of them probably don’t realize this Kiwanian from the Netherlands is touching the lives of so many more Afghan families. And he has a lot of help from his team of friends back home. The Kiwanis Club of Midden Limburg Roermond is supporting Cuypers and his mission to bring change to Afghanistan. Club members help sell the saffron that’s grown in Afghanistan at markets in the Netherlands. The money they bring in then goes directly back to Afghanistan, to a tiny village called Robert Sanghi. But a building does not a school make. So a wall was built next to the school, allowing girls ages 10-12 the freedom to move around freely, out of sight of male students and villagers. Toilets and sports facilities were built. School supplies—books, notebooks, pens, pencils—were purchased. To help those children, the Kiwanians sell the saffron as part of the fundraiser for the school. But each sale came with a practical bonus. “We sell small containers of saffron along with recipes for preparing food with saffron,” Grisnigt says. Because Cuypers and his team regularly visit Afghanistan and the Robert Sanghi village, it’s easy to closely and accurately monitor the expenditure and the progress of all projects. Why do you focus so heavily on helping farmers? People are no longer in a position where they can break out of the situation themselves. They lack everything: food, medication, education, building materials, fuel, etc. They can’t start anything because there simply is nothing available. So it is very important that development primarily begins with agriculture. This provides people with food. With a full stomach, things can be up and running again, no matter how difficult the future may look. All other aspects such as education and health care will then also immediately improve. You can then go to school with a full stomach, and more vitamins and minerals, which simply means better health. Also, Afghanistan is a country where there is a very small proportion of suitable farmland. It has only about 20 percent suitable farmland of the total area of Afghanistan. This results in a lack of farmland for the farmers. The natural conditions under which a farmer must grow in the predominant part of Afghanistan is very difficult. Why saffron, fruits and vegetables? It is important that these products (saffron, fruits, vegetables and even chickens) can be sold on the local market, but even better, on the national or international markets. For perishable products such as fruits and vegetables, it is almost impossible because the facilities do not yet exist. There are no cold storages, refrigerated trucks, good packaging, etc., available. So even on that side, production is limited because there are no facilities. That’s why it becomes of great importance to keep in mind all these constraints when choosing products. Of course, saffron is a crop not directly used for consumption, but it brings a relatively high profit for the people. This gives them the possibility to fulfill their biggest needs, like purchasing fuel for the generator or to pay for a doctor or medicine. We also are working on projects such as pest control in the almond crop, irrigation projects, small pilot projects for alternative crops, solar energy, etc. But the core idea is to use common sense and continue to develop “quick-impact projects” that lead to a good result. You’ve mentioned projects focused on farming and the school. What other projects are you working on? We also set up projects to assist women. In particular, we try to organize easy projects for widows. We are setting up a chicken project, and there is a small chicken hatchery in preparation. The little chickens that are hatched go to the widows who then raise them into hens for eggs they can sell on the long term, which eventually gives them a small income. Such projects with women make you not very popular in a pure male society like Afghanistan. We unfortunately have had many threats because of this, but it is these specific groups of women who are so fragile that something needs to be done. That’s why we take the extra risks. How exactly are families being helped? About 3,500 fruit trees from the Netherlands will be handed over to the village. Besides the fact that every family receives a number of fruit trees for their own gardens, a central orchard will also be constructed and should start running commercially and provide the village with income for the future. Also, we recently distributed 15,000 packages of hybrid vegetable seeds, fertilizer and growing instructions to 15,000 families in the province of Uruzgan. With these packages, families can start to eventually stand up for themselves and to avoid a lot of misery. Such a project is relatively inexpensive and often prevents starvation. With an amount of US$20 per family, families of 10 people can often grow vegetables for about six to eight months. There is unrest in Afghanistan. Is it dangerous work? We work mainly in southern Afghanistan. That is the most dangerous area in general. It’s unavoidable that we have to face dangerous situations on a regular basis. We just want to do our work and achieve results and leave the threatening experiences behind us as quickly as possible. Some Taliban members have put a price on our heads. We often receive threats, but that doesn’t stop us from doing our job. At the moment, roadside bombs are our biggest danger. These are placed alongside the roads, dozens at once on a daily basis, by the Taliban, and therefore cause the most deaths and injuries. How do you manage being away from family so long? On average, we stay between six and eight weeks in Afghanistan before we return to our families. This is obviously tough for those back home. For our wives and children, these are difficult years. They do not know what is going on at the other side of the world and what we are working on at that moment or what dangers we must overcome. But for ourselves it is easy to deal with as we continue to see results and most programs are very successful. Holidays are of course the times we look forward to. But Afghanistan and its people are worth working for. We feel privileged to do this work. Our work in Afghanistan has greatly affected our personal lives, though. After considering all the difficulties we have for our programs to be achieved and to stay alive, we no longer really understand two people in the Netherlands fighting over a parking space at the supermarket. 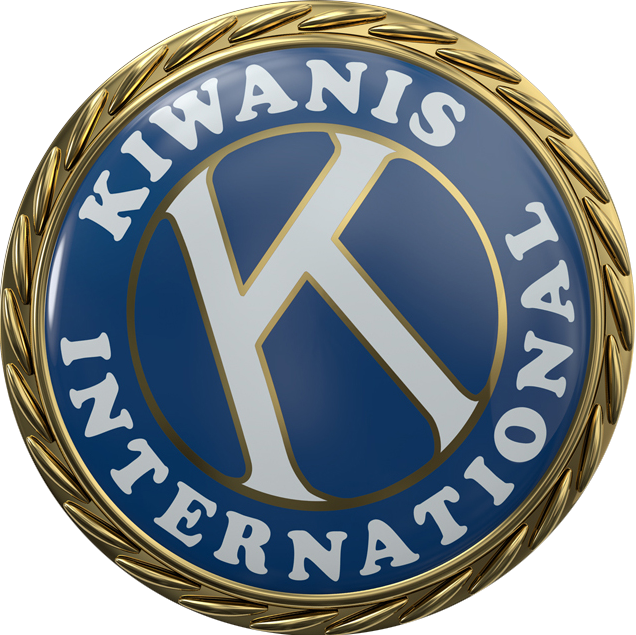 Kiwanis plays a big role in your success in Afghanistan. How do you keep members of your club involved and interested when they are so far away and probably will never see the results firsthand? When I am home—only a total of a couple months a year—then I visit the Kiwanis meetings as much as possible. But I have regular contact with Kiwanis members on the Internet when I am away. When I am home a little bit longer during my real holidays, then I like to go to the meetings so I can tell everyone about the progress we made in the different programs. This story originally appeared in the June 2011 issue of Kiwanis magazine. At the time of this WordPress post, Lou Cuypers was no longer a member of Kiwanis. He was forced to stop his work with saffron in Uruzgan in 2015 due to instability. We share his story of hope and perseverance because we believe one person can truly make a difference in this world. Thank you, Lou.